Absolut Vodka is produced near Ahus, southern Sweden, from the expensive winter wheat which gives Absolut such a smooth taste. It is sold under the name of Absolut since 1879. Swedish vodka, however, goes back even further: to the 15th century when Swedes first started distilling spirits called bränvin, which means literally, “burnt wine”. Sweden has an age-old vodka distilling tradition. By the 17th century, the distilled spirit that we today refer to as vodka had become a national drink. In 1879 successful businessman Lars Olsson Smith introduced a new kind of vodka called Absolut Rent Bränvin (Absolute Pure Vodka), made using a revolutionary new distillation process. The process was called rectification, a method we still use today. 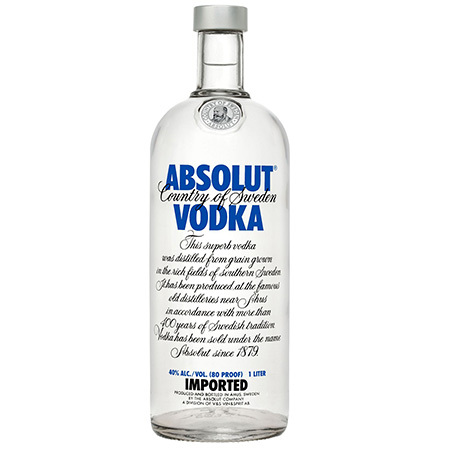 First exported from it’s native Sweden to the global market in 1979, Absolut Vodka quickly became one of the best-selling premium vodkas in the world. Absolut works excellently in the traditional Cosmopolitan cocktail recipe, and also in Seabreezes and Sours. A delicious blend of citrus fruits combined with uncompromising quality, Absolut Citron delivers a delicious lemon and lime character with a hint of sweetness. 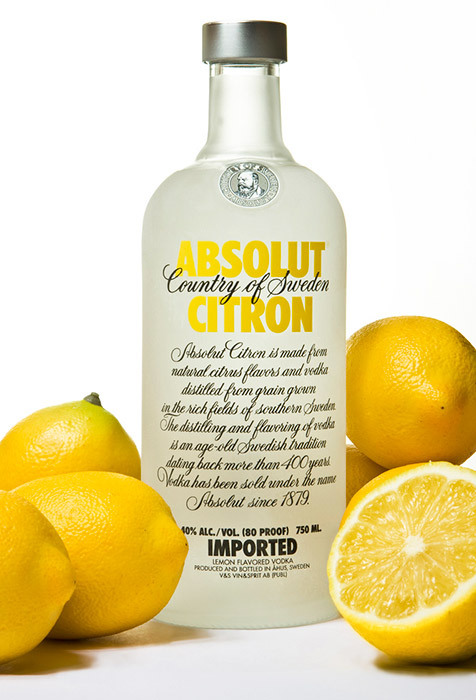 Absolut Citron is the original vodka in the modern Cosmopolitan recipe, and substitutes beautifully into a Bay Breeze or Sour. Absolut Citron Vodka targets an audience that is youthful. Created for both sexes, it is a premium vodka for consumers that want a premium spirit. Absolut Citron drinkers are active, outgoing, social, trend conscious and fashionable, and generally live in an urban environment. A traditional ingredient in Swedish cuisine, blackcurrant berries lend Absolut Kurant a tangy, deliciously aromatic flavor that encourages mixing for a unique taste experience. 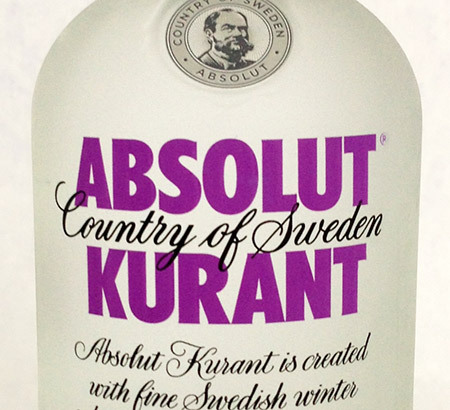 Absolut Kurant is the original vodka in the successful Cosmopolitan variant, the Metropolitan. Made with black currants native to the arctic region of northern Sweden, Absolut Kurant is smooth with a hint of tartness. 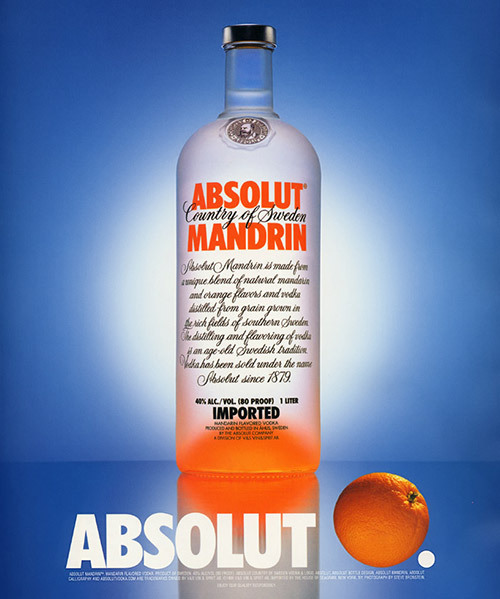 Absolut Mandrin is a rich and fruity flavored vodka that has the distinct character of mandarin and other oranges, a note of orange peel, and a hint of sweetness. Absolut Mandrin substitutes superbly into a Bramble, Melon Ball and Cosmopolitan. Excellent straight or mixed, Absolut Mandarin enhances the flavor of your vodka cocktails, and has a smooth finish with a long aftertaste. A spicy celebration of Absolut Vodka’s commitment to quality, Absolut Peppar captures the essence of jalapeño and bell peppers for a unique hot flavor. Excellent in a simple martini or a Bloody Mary. 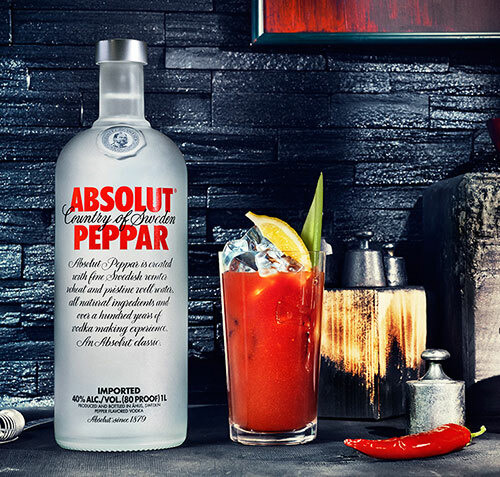 With a robust aroma and complex character, Absolut Peppar adds the spice of variety to many popular cocktails.